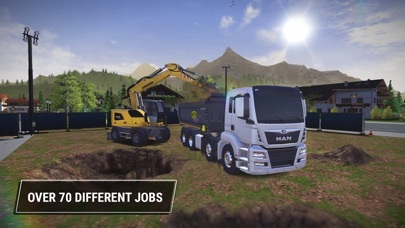 Construction Simulator 3 מדורגת מקום 14 ברשימת 50 האפליקציות בתשלום המובילות בחנות האפליקציות הישראלית. Explore a 3,2km² map, lovingly designed to resemble the idyllic Alpine foothills and play in three different districts: The village where you establish your company, a spacious industrial area and a modern town. Use the time between jobs to explore the freely drivable open world. Enjoy the Liebherr LB28 drilling rig for bridge construction for stable and deep foundations during bridge construction and other exciting missions! Another feature long-awaited by many fans is the cockpit view. 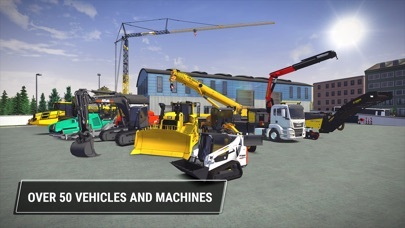 Now you can enjoy Construction Simulator 3 from the inside of every vehicle and get a first hand feel of what it's like to take control of epic machines! A huge amount of vehicles is waiting for you! 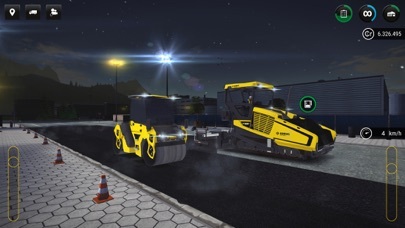 Choose the right machine for every job: Take on the challenges of road works and refurbishments with machines by Caterpillar, BOMAG or WIRTGEN GmbH, VÖGELE AG and HAMM AG. 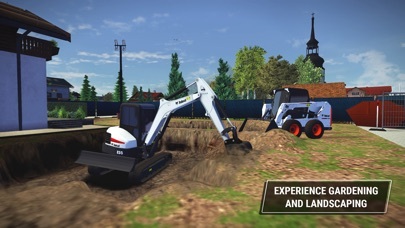 Available for the first time: The E55 compact excavator or the T590 compact track loader from Bobcat will make earth moving a walk in the park! Get behind the wheel of the MAN TGX truck to visit your local gravel pit or supply store and discover new heights with the Liebherr 150 EC-B 8 tower crane. 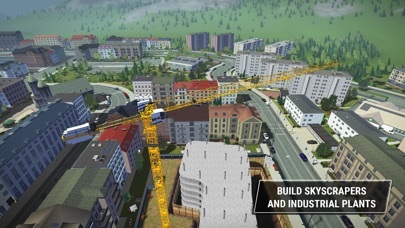 Prove your skills on the job: From small Bavarian style family homes to industry warehouses and skyscrapers - more than 70 challenging contracts demand all your skills and precision in Construction Simulator 3. 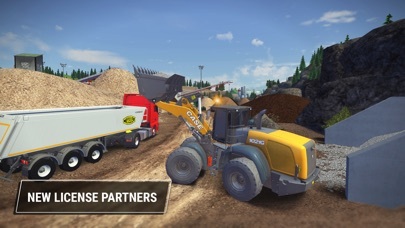 Refurbish crumbling roads and use your large vehicle fleet to master every challenge. 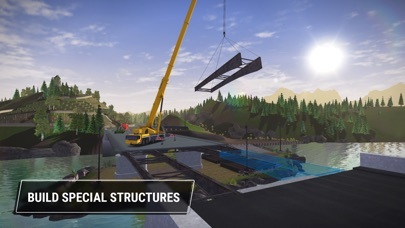 Shape the skyline of Neustein through your unique work! 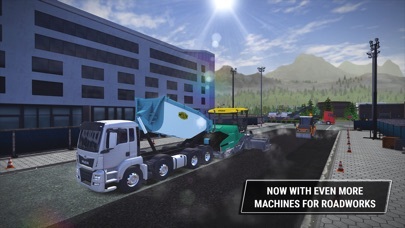 הורידו עכשיו את Construction Simulator 3, אפליקציה אקשן שפותחה במיוחד עבור אייפון ואייפד ע"י astragon Entertainment GmbH. נשמח לשמוע מכם תגובות, שתפו אותנו בחווית השימוש, שאלות או טיפים שימושיים על Construction Simulator 3. צריכים עזרה? 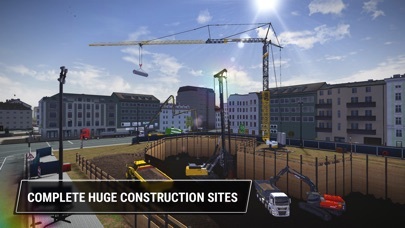 נשמח לעזור לכם לעבור כל שלב במשחק Construction Simulator 3, החל מהשלבים הבסיסיים ועד לשלבים המורכבים באמצעות מדריכי וידאו, צ'טים, טריקים ועוד. Por que no añaden demoliciones ? This game is so great. I was just thinking maybe you can add a bucket wheel excavator and a liebherr R 9800 excavator. Thanks.